Our Inspirations + Our Story — Breathless Paper Co. It started with wedding invitations, baby announcements and party invites. My husband, Matt and I soon decided to take things to the next level and make a whole round of cards. I researched the ideal way to provide our future retailers with an outstanding, quality product for the best price point possible. While I did that, Matt began perfecting our aesthetic -- something unique to us (and he totally nailed it). 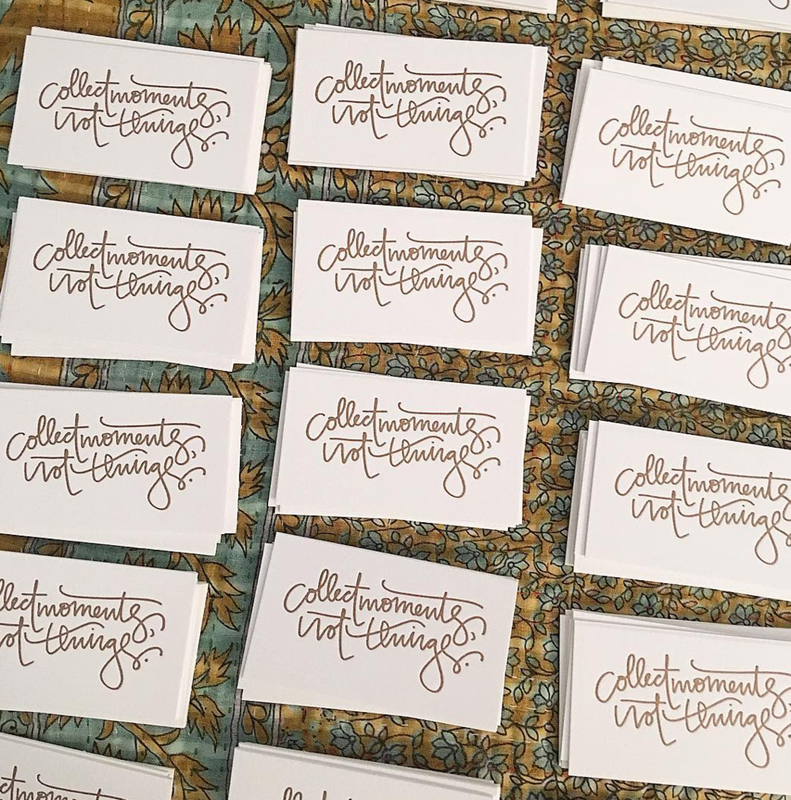 With a round of cards done -- our original collection -- I got on the road and "pounded the pavement" to gather retailers' reactions to our work. I was so energized by the support we received, and before we knew it we were on our way to becoming a full-fledged paper company! We did our first trade show with less than fifty card designs, our catalog on cds, handwritten invoices, and fingers crossed. We were floored by the reaction we got. We wrote order after order and grew more and more thankful through it all. Now, we're ten years in and that thankfulness has only multiplied. So, where does our inspiration come from? The everyday moments. The feelings we want to be able to give, the smiles and laughter we want to provide. Our cards are about having faith in oneself, learning lessons and loving everyone. Then, we dreamed up our Baby's Breath children's collection. This line came from listening to the funny way our nephew thought and spoke; we found it absolutely endearing. Next came Mini Breaths -- itty bitty cards with a whole lot of character. After going small, we went loud, and added Fresh Breath. It's a line with a lot of bright color and a bunch of fun. Our birthday line, Blowing Candles is a hand-painted masterpiece! Matt went outside and got creative, painting a bunch of shapes and textures on paper. Those paintings were scanned into the computer and that's how the look of our birthday cards was born. This was also the first line that got colored envelopes! Scout, our daughter, inspired our Deep Breath line -- darker, deeper and filled with notes that merge the inspirational and the fun. Matt did an incredible job developing this new aesthetic and I fell in love with it. This line just continues to grow! Last year, I added my little labor of love: Tiny Cards. Big Words. These gorgeous, thick, hand-lettered cards come their own slide box, ready to be given or kept or passed along. This project was a long time coming; I'd been dreaming it up since we started our little company. In short, Breathless Paper Co. is a company born from creativity, passion, and a love of loving people. Tons of thought and laughter goes into each card, and Matt and I both make sure each one is just right for you guys. 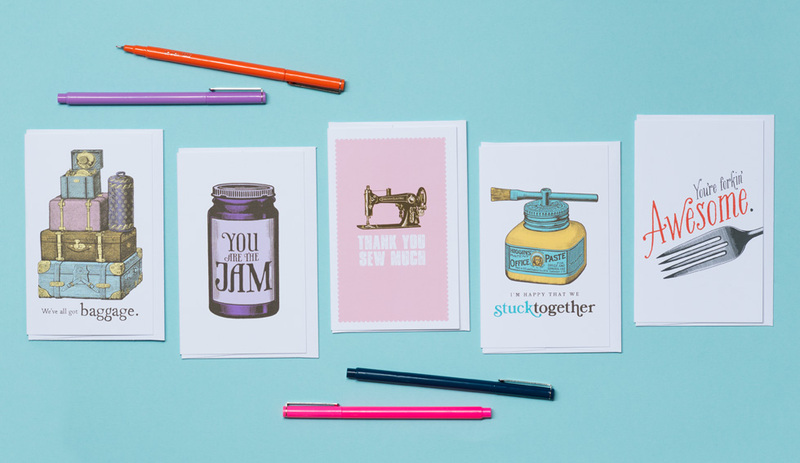 We're overwhelmed by the ten years worth of love you've shown us, and we can't wait to keep loving you right back and shelling out new designs that you can mail, hold onto, and pin up. Posted on March 23, 2017 by matthew berinato and tagged Breathless Paper Co. Breathless Paper goods Paper stationery love laughter joy small business family business story inspiration graphic design atlanta nashville.